This brocolli is the perfect accompaniment to your sunday roast, your friday night dinner, your basic weeknight meal…just about anything! 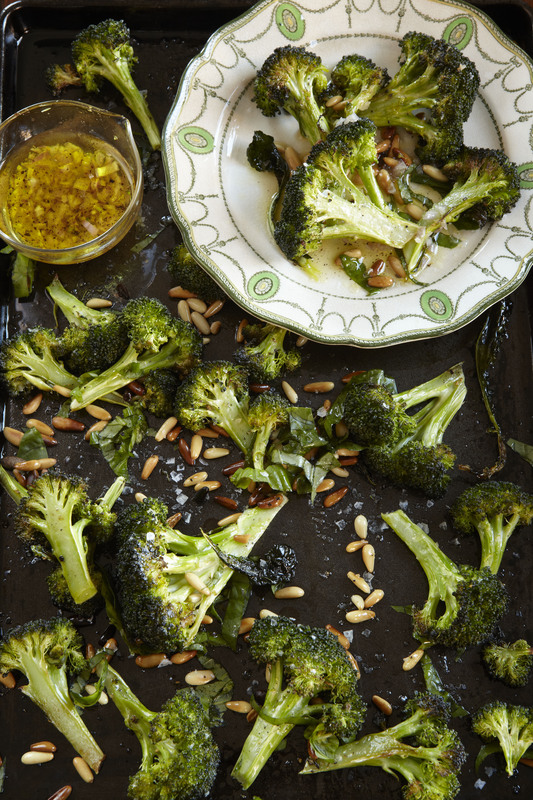 The crunch of pine nuts and the tang of lemon add to the deep roasted flavour of the brocolli. golden all over, about 4 minutes. into a serving bowl, add the dressing, pine nuts and basil and toss to coat.